How can I check my Marks and Spencer gift card balance online? Start here: Marks and Spencer balance checker. M&S was founded 133 years ago in Leeds and has grown to over 800 UK stores. Marks and Spencer sells over 10% of all menswear in the UK and an amazing 25% of all underwear! Marks and Spencer’s food hall offers an excellent selection of fresh foods, groceries and wines – M&S often have special ‘dine-in’ meal deals that are great value and very popular indeed. Where can I check my Marks and Spencer Gift card balance online? In order to check your Marks and Spencer gift card balance online, you need to have registered for an account on the Marks and Spencer website. You will then find a ‘Check your giftcard balance’ link beneath the ‘Payments’ heading. Or, call Marks and Spencer customer services for a balance on 0333 014 8777. This telephone number is operated by M&S, and normal call rates apply. If you bought your Marks and Spencer giftcard from an M&S store, the amount loaded to the card will be printed on the receipt. Where can I buy a Marks and Spencer giftcard? 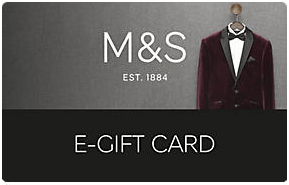 You can buy Marks and Spencer e-gift cards online from the M&S website. These work the same way as a traditional plastic card but are delivered by email instantly, so there are no fees for delivery! You can also buy traditional plastic giftcards from the M&S website too, there are a selection of free presentation cards to choose from but there will be a £3.50 delivery charge. For cheaper delivery, see Voucher Express who sell M&S giftcards with delivery from £1.75. You can pick up Marks and Spencer gift cards from any Marks and Spencer store in the UK. You’ll find Marks and Spencer giftcards in other high street stores, including Wilko. Where can I spend my Marks and Spencer gift card? 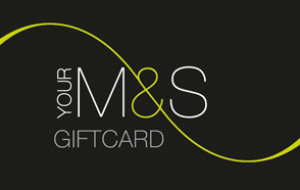 M&S gift cards are welcome at any Marks and Spencer store and can also be used on their website. If you have a paper Marks and Spencer voucher that has a barcode, this can only be redeemed in store. You can spend M&S gift cards at Marks and Spencer outlet stores. They can also be used in the M&S cafe, M&S branches in motorway services and airports and stores in Ireland. They can’t be used in other international stores. Marks and Spencer giftcards are also welcome in free-standing M&S Foodhall stores. Do Marks and Spencer gift cards expire? Yes – the card will expire 24 months after the last use. However, a balance enquiry counts as a transaction, so if your card is about to expire you can simply check the balance online to extend the validity period of the card.